Since the idea to start a blog came into my head, I have been asking myself whether I should start one, what its purpose would be, and what it should encompass. I am of the opinion that if I can’t answer these questions for myself, I can hardly expect anyone else to understand what I’m putting out there in the ‘Quasi World.” (Namely the Internet and my blog.) That being so, and consequently my first posted opinion; I will set about to answer those questions for myself and for you. As to the first question, I have had a difficult time figuring out the answer. If I am going to start something along the lines of a blog, it is a real time commitment. I would want to spend time thinking about topics and researching topics and then writing about them. I would want to spend time responding to any comments or other thoughts. This not to mention time it takes for initial setup and then small changes here and there just to keep things interesting. That could add up really quickly if you let it, and time is a precious commodity. I am studying for college classes right now and if I’m not careful I can become easily distracted. (Don’t judge me to harshly, however. After all, it’s not exactly pleasant to study what Freud believed about Child growth and development!!) 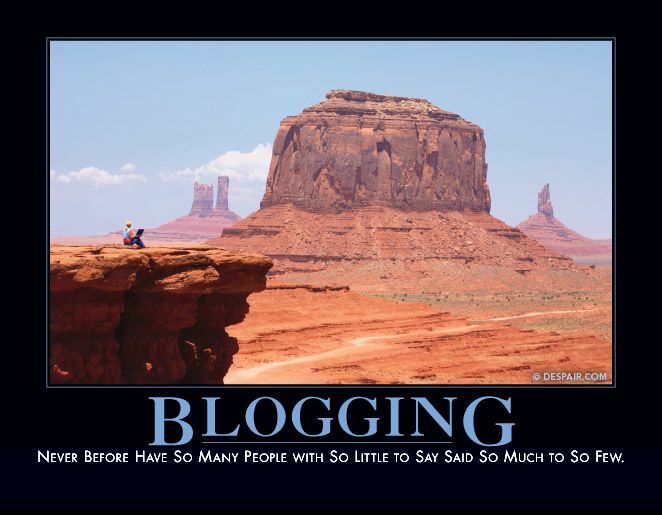 So I must ask myself, is the time necessary to keep a regular blog something I can commit to. I have decided that, yes, I believe I can. As to why I have come to that conclusion, you will find the answer in my purpose for the site. Lest you begin to think that this is all thought and no fun however, I will now answer the last question. I am viewing this blog as a creative outlet. If I do a little video project or take some nice pictures, etc. don’t be surprised to find them here. Neither am I limiting written content to serious topics only. I like to think I have a sense of humor. (Usually bordering on sarcastic or satirical.) “While I myself don’t call it great, my friends have said…” (For all you Jane Austin fans.) Anyway, if I have a funny thought to share, then I will definitely do so being a firm believer in the benefits of laughter. Well, there you have it. I have explained in my own terms what I hope for this blog. If you are willing and able to assist me in my educational endeavor, please do so!! The success of this experiment depends on you!! I sincerely hope you will find the material enjoyable and/or thought provoking. Welcome to What My Mind Does.